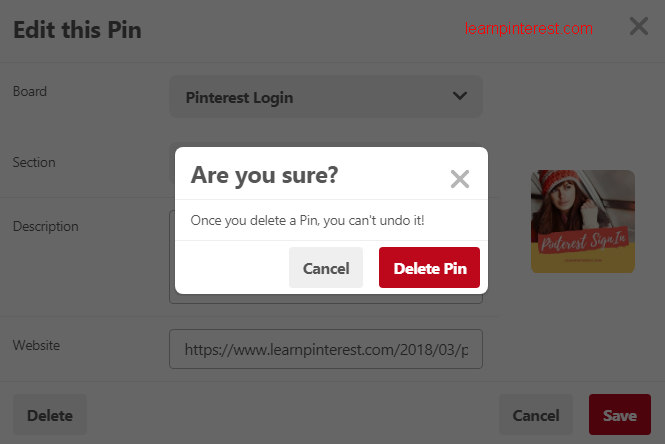 Update on How to delete a pin on pinterest - Delete Pinterest Pin: Oftentimes your view on stuff changes. And you may want to delete a pin on pinterest that expressed that view. This is where this post would come in very handy, Can you guess why? step 2: click on your account on the top right corner of the page. step 3: Click on PINS in the new page that loads up. 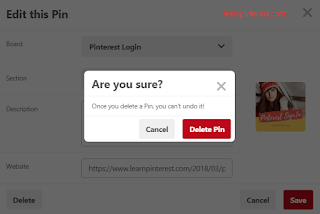 step 4: Scroll down to the PIN(image) you want to delete. step 5: Hover around the image. You should see a pencil icon, click on it. step 6: Click on delete at the bottom left corner of the new page. step 7: Confirm by tapping "Delete Pin"